There are a lot of myths around footwear, and your patients with running injuries will often blame an "incorrect shoe" choice for their injury, or believe that getting the "right shoe" will help resolve an injury. Are running shoes the cause of, and solution to running injuries? What advice should you give your patients when they ask that inevitable question "Do you think I need to get new shoes? ", closely followed by "What shoe do you think I should run in?" What footwear should your runners and injured runners wear? Does footwear change gait patterns? Can footwear contribute to injury? What is heel-toe drop and how is this important? Does footwear affect ground reaction forces, and how does this relate to bone stress injuries and plantar fasciopathy? Is minimalist or barefoot running helpful or harmful? Can runners safely transition to barefoot or minimalist running? 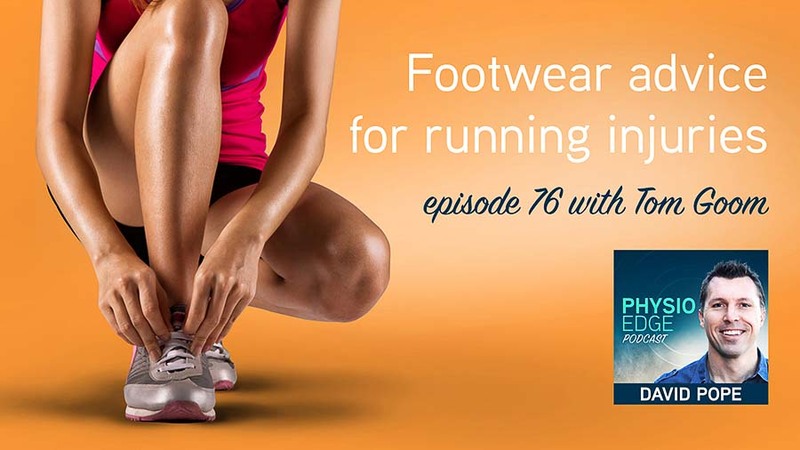 Is footwear the key to resolving running injuries? When should runners change their shoes? If you would love to get better results with running injuries, the podcast handout contains the key takehome messages for you. You can download it here. Esculier et al. 2015. A consensus definition and rating scale for minimalist shoes. Fuller et al. 2017. Six week transition to minimalist shoes improves running economy and time-trial performance. Kong et al. 2009. Running in new and worn shoes: a comparison of three types of cushioning footwear. Mallisoux et al. 2015. Influence of heel to toe drop of standard cushioned running shoes on injury risk in leisure time runners: a randomised controlled trial with 6 month follow up. Nigg et al. 2015. Running shoe and running injuries: myth busting and a proposal for two new paradigms: ‘preferred movement path’ and ‘comfort filter’. Salzier et al. 2016. Injuries observed in a prospective transition from traditional to minimalist footwear: correlation of high impact transient forces and lower injury severity.